Civil Rights Struggles, from the Beach to the Courthouse speakers Thomas J. Jackson, Fort Mose Historical Society, and The Hon. Joseph W. Hatchett, former Chief Judge of the U.S. Court of Appeals for the 11th Circuit Court, spoke at the Jacksonville Historical Society’s headquarters, Old St. Andrews, about one of the Civil Rights era’s most pivotal events, which took place in Northeast Florida. 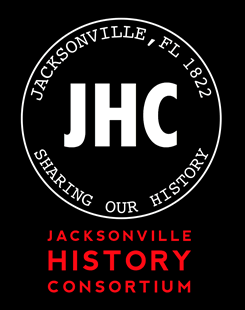 February 23, 2017 Presented by: Jacksonville Historical Society Jacksonville Chapter, Federal Bar Assoc. D.W. Perkins Bar Association.